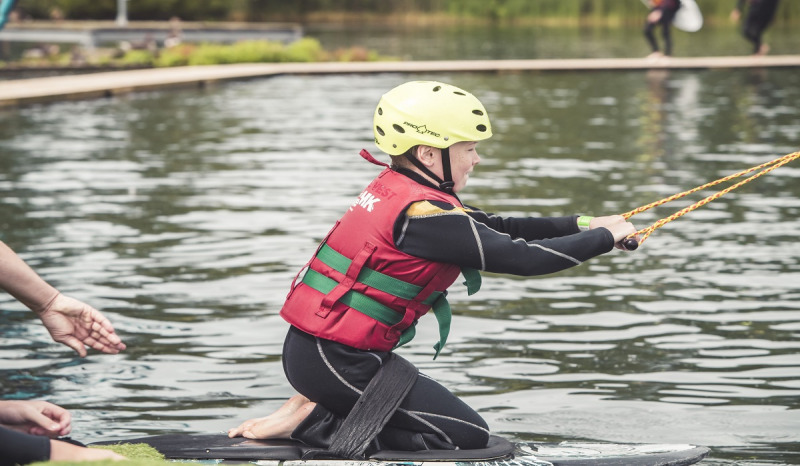 Take a trip to the Wakeboarding Centre at Willen Lake. We cater for all abilities from ages 8+ as long as you can swim 50metres! If you’re a wakeboarder, waterskier, kneeboarder, wakeskater, kitesurfer or surfer, be sure to check it out! We have one of the UK’s largest cable wakeboard and waterski centres where you can ride all year round without the limitations of fuel, boats, wind or surf. ParkID:1272 Categories:12284, 12283, 12280 Age:8+. Our Wakeboarding pay and play sessions are perfect for those who has mastered the kneeboard and want to progress onto their feet or if you just want some time on the rig! A wetsuit and equipment is included in the price, but you can bring your own if you have it! We open from 1pm, and you can arrive to start on the hour for either 1 or 2 hours!